Giraffes aren't nocturnal and don't migrate at night! What are they plotting? 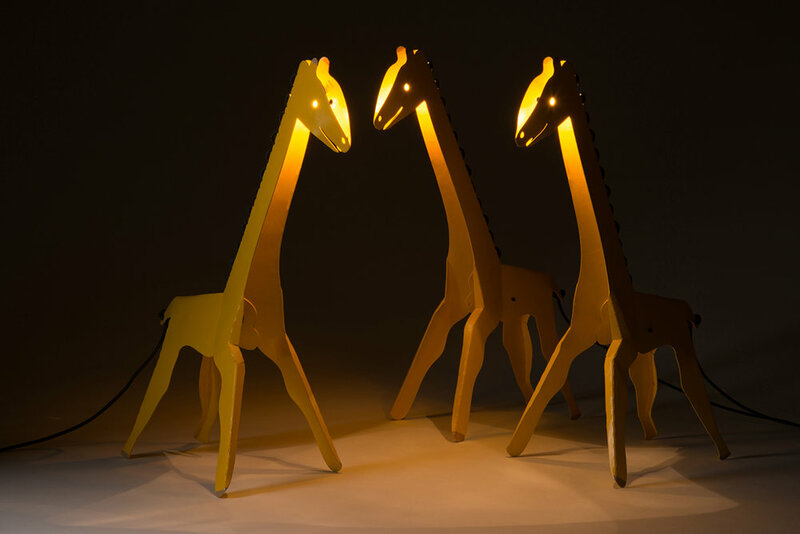 The Giraffe Night Lights are wired from a single cable that threads down the length of their neck to the switch, then plug into the wall from their tails. Each are hand-soldered, bent, then welded together from laser cut pieces with an enamel finish. Mini Edison bulbs illuminate their devious designs.